We Care… About Your Convenience. We aren’t satisfied with just being the best dry cleaners and launderers in Central New Jersey. We also want to be the most convenient for our customers. Over the thirty years that we’ve been serving the communities in Somerset and Hunterdon counties, we’ve worked on a number of dry-cleaning pick-up and delivery systems and our current service is unsurpassed in efficiency, reliability, and convenience for our new and existing customers. Plaza Dry Cleaners will pick up your clothing from your home, place of business, or hotel and deliver it back to you free of charge. Sign up for our free delivery and pick-up service, make your clothes available to us by 8:00 a.m. on the scheduled day, and we’ll deliver them back to you, cleaned and pressed. Service is automatic on your scheduled day(s). No need to be home, just leave your bag out in a weather proof location. Most use a front porch for pick up/drop off point. Billing is done at the end of each month on the credit card you provide and we email you a statement. Upon registration, we will contact you to confirm service day(s) and answer any question you may have. Special requests? No problem, just leave a note in your bag . 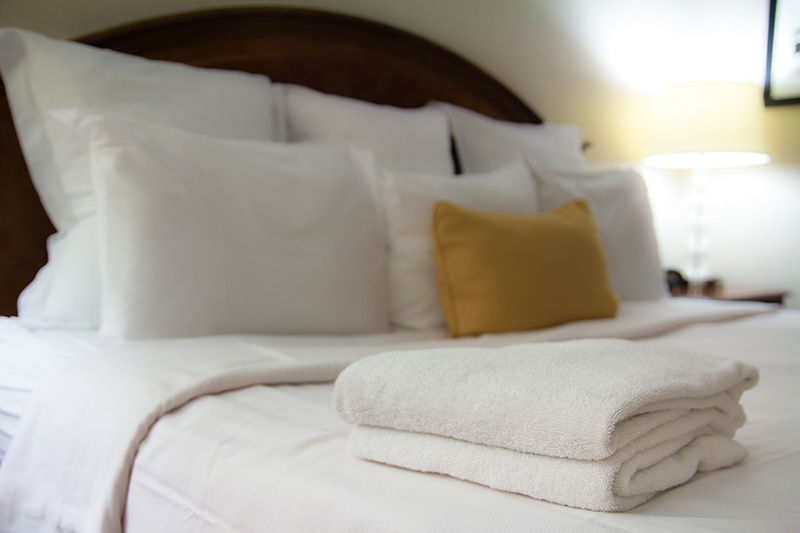 We work with hotels to provide top-tier, same-day pick-up and delivery dry cleaning for their guests. Our high standards of quality and reliability will make you want to encourage your guests to use this amenity. We also offer free cleaning to key employees and discounted rates for hotel staff uniforms. If you are cleaning these items in house we can most likely save you money in time, supplies, water and labor by cleaning them for you. Expert drapery cleaning. We also have on site drapery and furniture cleaning for conference rooms, guest rooms, banquet halls, etc. 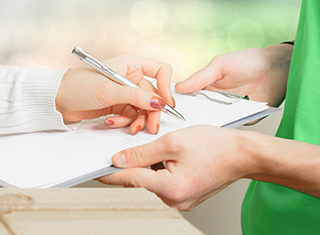 For our clients who work in Somerset or Hunterdon, our office delivery service is an ideal way to take some time back from your busy life. It works just like our home pick-up and delivery service. We come to your place of business at a scheduled time and date and pick up your dry cleaning from you or an authorized person, like a door person or receptionist. We deliver your cleaning to you the same way. Plaza Dry Cleaners services many companies with free office delivery. Large or small, we will tailor a service to accommodate the unique needs of your facility and employees. Have your property manager or office manager give us a call at 732-356-2424 to discuss your needs. We’ve made it a practice to encourage our loyal clients in towns like Bound Brook, Clinton, and Flemington to try our home pick-up and delivery service, and they’re hooked on the convenience. When you sign up for our home pick-up and delivery service, you’ll schedule a day for pick-up, place your valet bag in a weatherproof location (a garage or porch) by 8:00 a.m., and leave the rest to us. Your clothes will be delivered to the same spot between 8:00 a.m. and 4:00 p.m. If you have special instructions for the care of your garments, just leave them in the bag along with your clothing. For three decades, Plaza Dry Cleaners has earned a reputation for unparalleled quality, service, and convenience. With six locations in Bound Brook, Somerset, Bedminster, Flemington, Whitehouse Station, and Clinton, we accommodate all walk-in customers and offer same-day service at our storefront locations. Using state-of-the art equipment and environmentally friendly practices, Plaza Dry Cleaning cares as much about a clean ecosystem as we do about your appearance.